Upcoming September Events! Don’t miss out on these! The much-anticipated Pepsi Gulf Coast Jam kicks off Labor Day weekend, and the 2016 lineup includes favorites: Brad Paisley, Jake Owen, Eric Church, Brett Eldredge, The Band Perry, Lynard Skynard and nearly a dozen more acts. Three-day general admission tickets are still available for around $170, plus taxes and fees. In addition to all the exciting concerts, visitors can also see the winner of the Pepsi Southern Original contest, meet locals and purchase that perfect Panama City Beach souvenir. Get more info about the Pepsi Gulf Coast Jam. The Schooners 27th Annual Lobster Festival and Tournament ranks as one of the largest lobster festivals in Florida. The five-day event kicks off with lobster specials and live music on Monday and Tuesday. Mid-week brings professional sand sculptures by Sand Odyssey, raffles, more live music, and of course more lobster specials. Other family-friendly activities include contests, live DJs and opportunities to pet the lobsters themselves. This event draws thousands from all over the Southeast, so don’t miss out on the fun! Join the worldwide effort and help keep our beaches beautiful! The International Coastal Cleanup in Panama City Beach is free to all ages and hosted by Russell-Fields Pier. All guests have to do is volunteer, and they receive all the equipment needed and a free pass to the pier. The 2015 event gathered 18 million pounds of trash worldwide with the help of 800,000 volunteers. Celebrating the end of summer, the Chasin’ the Sun Music Festival draws thousands who love live music and a chill vibe. The 2016 lineup features Charlie Thomas’ Drifters, The Tams and The Temptations Review with Dennis Edwards. This event is free for all attendees and takes place at the Aaron Bessant Park. Register to enter the Emerald Coast Professional Redfish Series held at the Panama City Beach Marina. The event brings together fishing professionals and guests alike to see experts in action, searching for the biggest catch. Guests can register boats and kayaks, and the event receives national coverage, reaching as many as 42 million households. The grand prize includes major bragging rights and a $3,000 prize. Ripley’s Believe It or Not! Panama City Beach is offering free admission to all K-12 employees through their Educator Appreciation Days event. All Ripley’s attractions in Panama City Beach, St. Augustine and Key West will be free to state educators during this time. Additionally, each educator can bring up to five guests, who will receive 50% off their admission prices. Want to buy or rent out your vacation home? We can help! 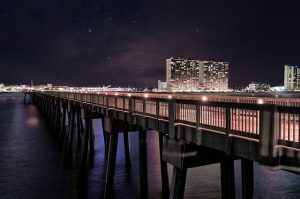 For Panama City Beach property management services, contact iTrip Vacations.